By Jessica Jones | 5 years ago Plus, how to work with the best interior designers in Dallas. By D Magazine | 5 years ago We teamed up with local showrooms to select the 99 best experts in the business. By Jamie Laubhan-Oliver | 5 years ago One bookcase, very different looks. By Laura Kostelny | 5 years ago Shelby and Rich Flaten’s house is just the right mix of classic and modern. By Jessica Jones | 5 years ago Kim and Ryan Roberts spend eight months a year on the road, but their hearts are in Dallas. 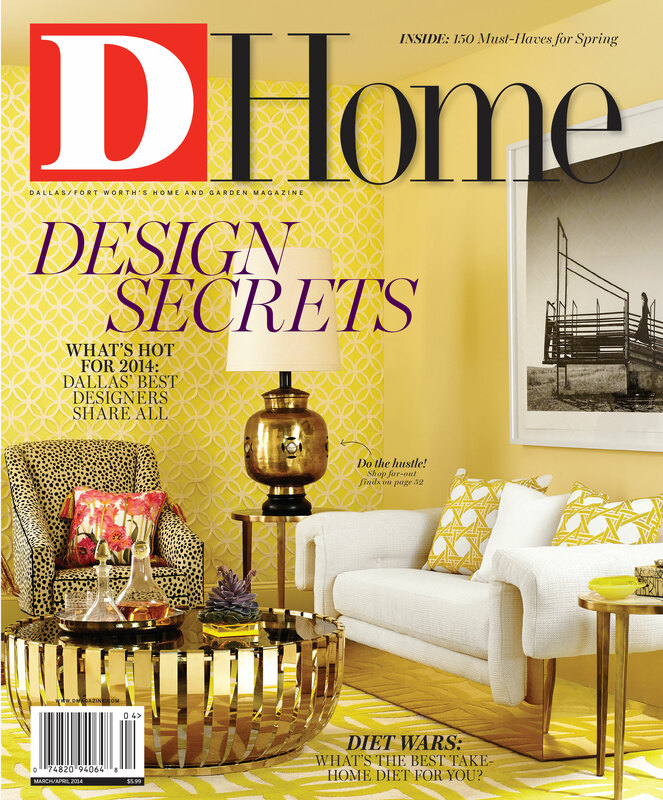 By D Magazine | 5 years ago The Kerr Collection, Hokanson, and Carlyn Ray Designs have new Dallas homes. By D Magazine | 5 years ago Your excuses for eating badly will no longer suffice, thanks to a bevy of healthy delivery and pick-up meal services in Dallas. Our editors put four options to the test. By Margaux Anbouba | 5 years ago Celebrate with a Kentucky Derby-themed bash. By Nancy Nichols | 5 years ago Our guide to becoming a master pickup artist of tasty fungi. By Margaux Anbouba | 5 years ago As warmer weather approaches, you've got to get your greenery ready. By D Magazine | 5 years ago Chad Rohde is no stranger to the fashion runway. By D Magazine | 5 years ago Take a look at the designer's experience. By D Magazine | 5 years ago Five bedrooms in Caruth Hills, four bedrooms in Lake Forest, or a place perfect for entertaining in Preston Hollow. By D Magazine | 5 years ago A French chateau in Highland Park, a gated North Dallas house, or live California-style in Bluffview.